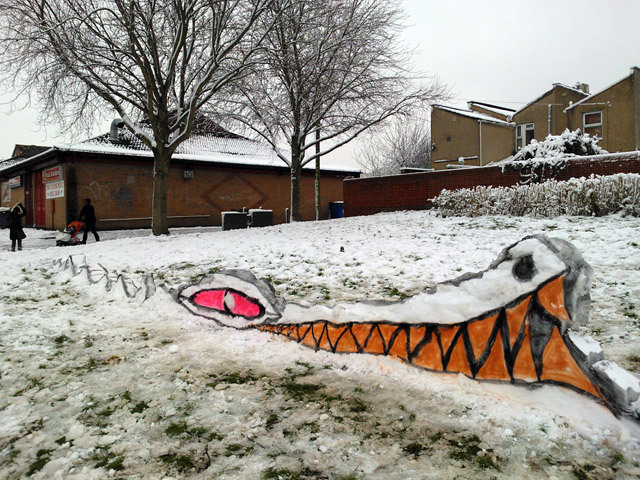 This time of year usually means a low profile on the street art front, but a trio of Bristol artists have found an innovative way of making the most of the wintery conditions. 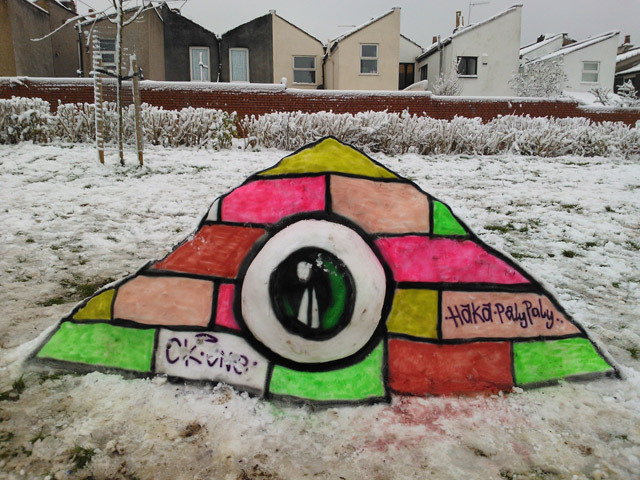 By compacting snow, similar to how you would build a snowman, they have sculpted their own personal shapes, and onto which they have spray painted their designs. 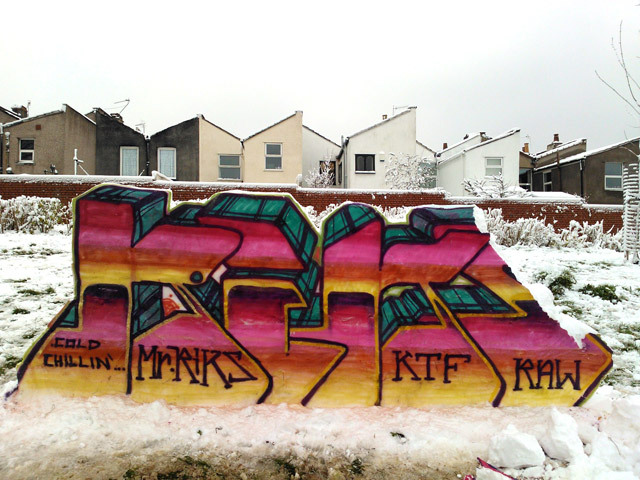 The pieces can be found in Totterdown, but they won’t be around for long, as you can imagine. Thanks to Bristol Culture for the photos.